More than just gaming computers! 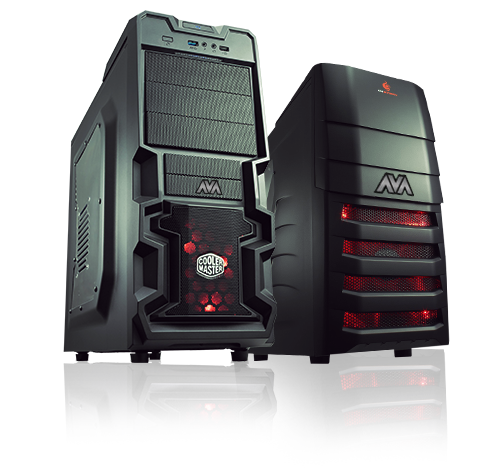 At AVADirect we’ve been building custom PCs for over 10 years. The computers we build aren’t just for gamers – we build computers for people looking for a quality PC that is reliable, durable and has world-class technical support. Whether you’re browsing the web, reading emails, and liking photos on Facebook, or creating digital content like editing video or 3D modeling, we pride ourselves on providing build-to-order computers that feature only the parts you need to accomplish your tasks. 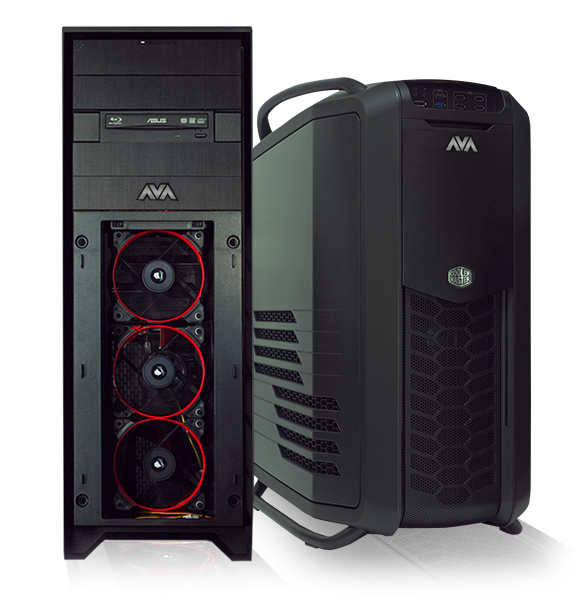 Here are just some of the benefits of choosing a made-to-order custom PC from AVADirect. If you’re just looking for your custom computer for basic office tasks, and you’re not going to do much video editing, design work, or extreme gaming, you can avoid an extreme CPU and save some money by selecting an entry or mid-range CPU from Intel or AMD. The latest i3 and i5 Intel processors are optimized with hyper-threading technology, allowing you to watch HD videos, play today’s modern games, all while drawing low power – perfect for laptop users. AMD A-series processors combine the performance of multicore processors with the power of Radeon graphics on a single chip for those looking for a low-cost solution. Are you going to be editing video, designing graphics, or doing other CPU-intensive tasks? 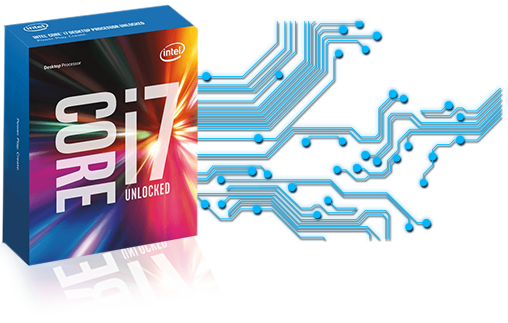 Consider the latest Intel Core i7 processors. These powerful CPUs are exceptionally popular in custom computers from AVADirect. Although the CPU is the most important component of a PC, there are many other components that will influence the performance of your computer. Consider upgrades to the memory or solid state drives. 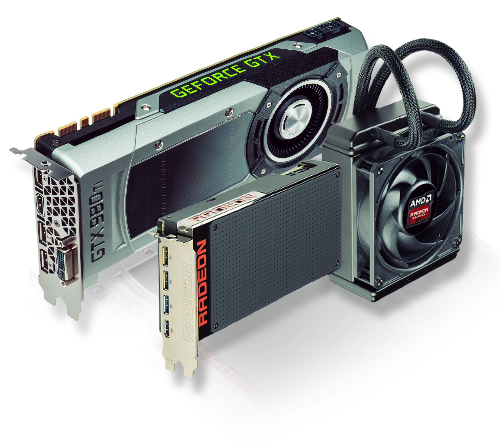 Graphics cards aren’t just for gamers anymore. Today they are important parts of any computer system. From watching HD movies and editing video to common everyday tasks, a graphics processing unit, or GPU, is a vital component for modern computers. Dedicated GPUs, as opposed to integrated solutions, provide your custom PC the graphics processing performance necessary for today’s media-heavy environment. Random Access Memory, or RAM, is a crucial component of any computer. 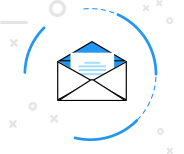 It lets your PC store information temporarily while you run an application. With modern operating systems and applications 4GB of memory is the absolute minimum for a custom computer, even if you’re just browsing the web, typing up an email, and catching up on your favorite shows on Netflix. We recommend 8GB of memory or more for anyone who isn’t on the tightest of budgets. Opting for more memory should be the first upgrade to your computer, or when you have additional dollars to spend on your custom PC. When looking at memory options you’ll see that they come in different sizes (in GB) and different speeds (MHz). For most users the additional expense of faster frequency memory offers little performance benefit. 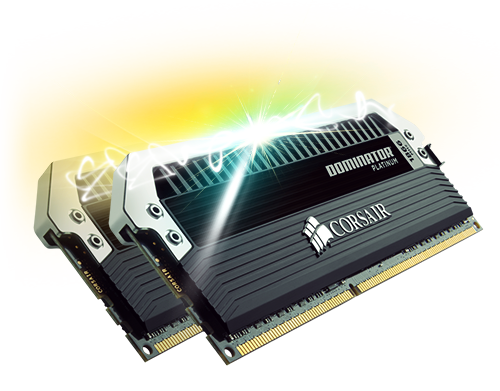 The high-performance RAM we offer is a perfect enhancement for gamers or designers who have maxed out the graphics cards and CPUs in their custom computers. The hard drive is where your computer stores all of your data: documents, photos, files and applications. It also stores your operating system has an enormous effect on the speed of your custom PC. Most often, it is the slowest part of your custom computer. It has to spin up to speed and locate the file you’re looking for every time you or the operating system performs a task. Fortunately, there is a new technology out on the market: solid state drives (SSDs). 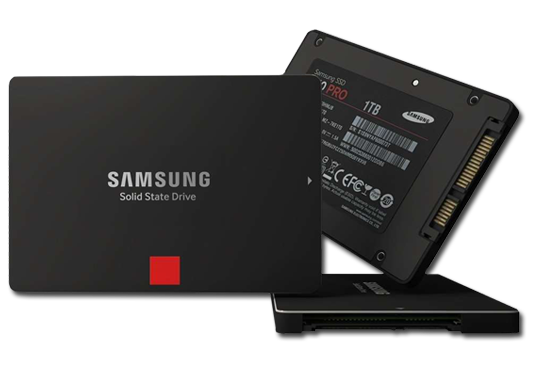 Usually new technologies are expensive when first introduced, but SSDs have been around long enough so you can buy a high-quality durable SSD for a reasonable price. Solid State Drives have no moving parts so they run faster and cooler than traditional hard drives. Today SSDs are commonly found in custom PCs in combination with larger hard drives. A user would put their operating system and application files on the SSD and store their document files on the larger hard drive. This give you the speed of the solid state drive when starting up your custom PC or running applications, but gives you the storage space of 1 or 2TB hard drives. Let’s face it – desktop PCs aren’t for everyone. Custom notebook computers provide mobility and portability for anyone from students, to professionals, to home users who may need to use their computer in more than one space. Whether you need advanced graphics for compact gaming, long battery life and a thin lightweight form factor for travel, or anything in between our custom laptop options provide the perfect solution to your mobile computing needs. Customized notebooks offer advantages over off-the-shelf laptops, giving you the option to specify the CPU, memory, hard drive space, and even the graphics card so you get all the capabilities you need without paying for parts you don’t. 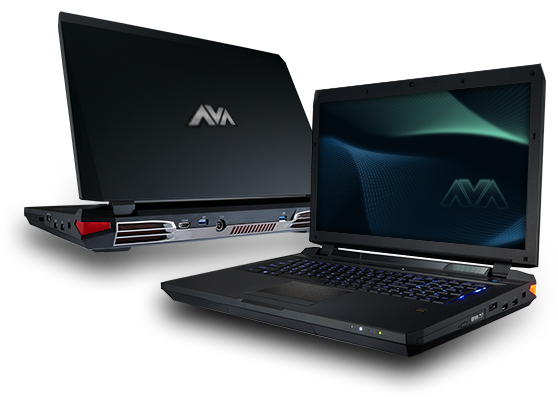 At AVADirect we can even customize laptops from brands such as MSI, ASUS, Lenovo, Gigabyte, GETAC, and Clevo. With the thousands of configuration options available configuring your computer online can get confusing. If you need some help don’t hesitate to call our technical sales team. Our experienced custom computer professionals will recommend the best custom PC based on your needs and budget. 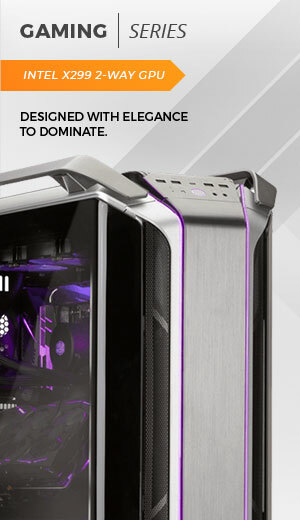 For more advanced buyers, they will make sure all of your selected parts and components will work together and fit inside the case you selected. We have all of the newest parts available on the market so that our customers can build the latest and greatest computers. All of our PCs go through thorough testing and a 24-hour burn in to ensure stability and are backed by our lifetime technical support.